Gene Baur, the cofounder and president of Farm Sanctuary, the nation’s leading farm animal protection organization, knows that the key to happiness lies in aligning your beliefs with your actions. In his new book Living the Farm Sanctuary Life, he and Gene Stone, author of Forks Over Knives, explore the deeply transformative experience of visiting the sanctuary and its profound effects on people’s lives. 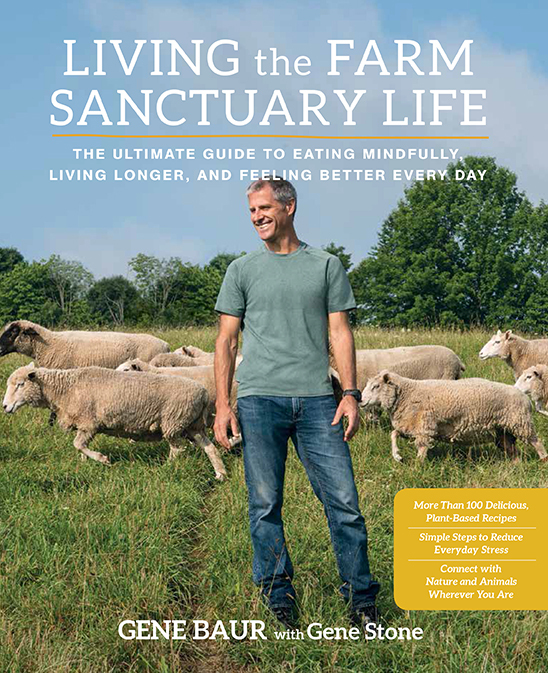 The book covers the basic tenets of Farm Sanctuary life – such as eating in harmony with your values, connecting with nature wherever you are, and reducing stress – and offers readers simple ways to incorporate these principles into their lives. Living the Farm Sanctuary Life also teaches readers how to cook and eat the Farm Sanctuary way, with 100 extraordinarily delicious recipes selected by some of the organization’s greatest fans–chefs and celebrities such as Chef AJ, Chloe Coscarelli, Emily Deschanel, Moby – and me! Following is the Fabulous French Toast recipe I developed for the book! Coupled with heartwarming stories of the animals that Farm Sanctuary has saved over the years, as well as advice and ideas from some of the organization’s biggest supporters, Living the Farm Sanctuary Life is an inspiring, practical book for readers looking to improve their whole lives and the lives of those around them – both two- and four-legged. French toast–it’s not just for Sunday breakfast, and it sure doesn’t need to be made with the typical cholesterol-loaded egg-based custard or refined bread. 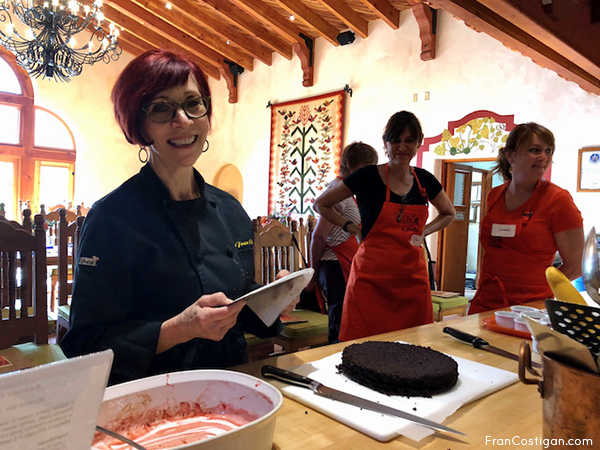 This nutritious, delicious vegan version got enthusiastic thumbs-up from my granddaughters Georgia and Cecile, as well as their parents. Another plus: It is very quick and easy to make, using just a few pantry staples. 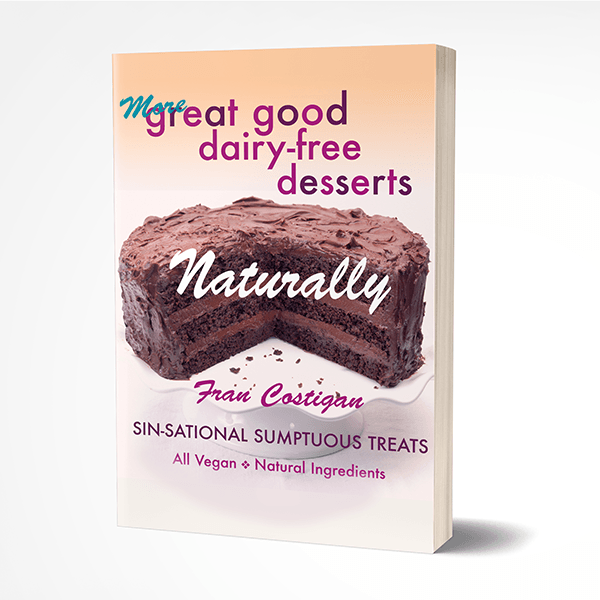 Some of the ingredients may be unfamiliar to nonvegans, but all are easy to find. I use sprouted wheat bread, but any bread, including gluten-free, is fine. The recipe makes enough of the intentionally thick custard for four average-to-large slices of bread. Make a double batch, if you prefer. 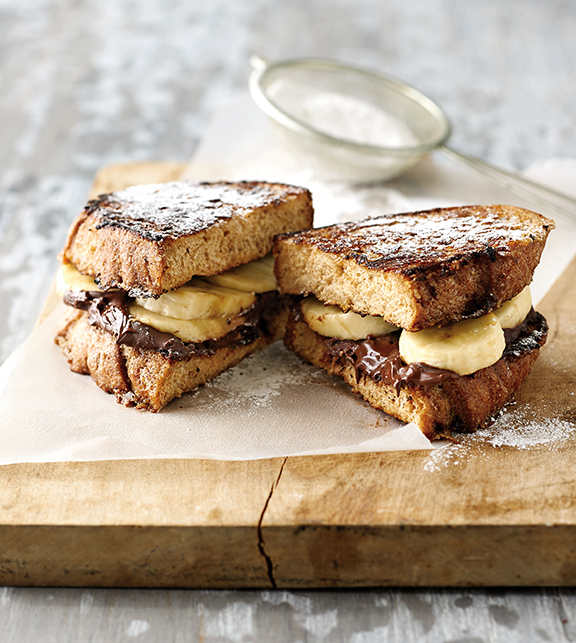 Definitely try the Chocolate and Banana French Toast Sandwiches variation that follows, to serve as dessert or for a special brunch! In a blender, combine the milk and guar gum. Blend on high for 1 minute. The milk will be thick. Add the maple syrup, nutritional yeast (if using), chia seeds, cinnamon, and salt. Blend on high for 2 minutes if using a standard blender or 1 minute if using a high-speed blender. Taste the custard. There should be no crunch of chia. If you taste any crunch, allow the custard to rest for 5 minutes and blend for another minute. Pour the custard (you will have about 1 cup) into a 13″ x 9″ baking dish. Press the bread into the custard. Wait 5 minutes and then turn each slice over with a wide spatula. Spoon some of the custard over the top of the bread. Allow the bread to soak for another 5 to 10 minutes, depending on the thickness of the bread, turning the slices over another time. When you are ready to cook, put the oil or spread (or a combination) onto a griddle or heavy-bottom pan. Heat over medium heat until the fat begins to sizzle. Place as many slices on the griddle as will fit without touching. Cook for 5 minutes on each side, turning the slices with a wide spatula. Increase the heat and flip again if necessary to get a darker color. Serve warm with maple syrup or confectioners’ sugar. 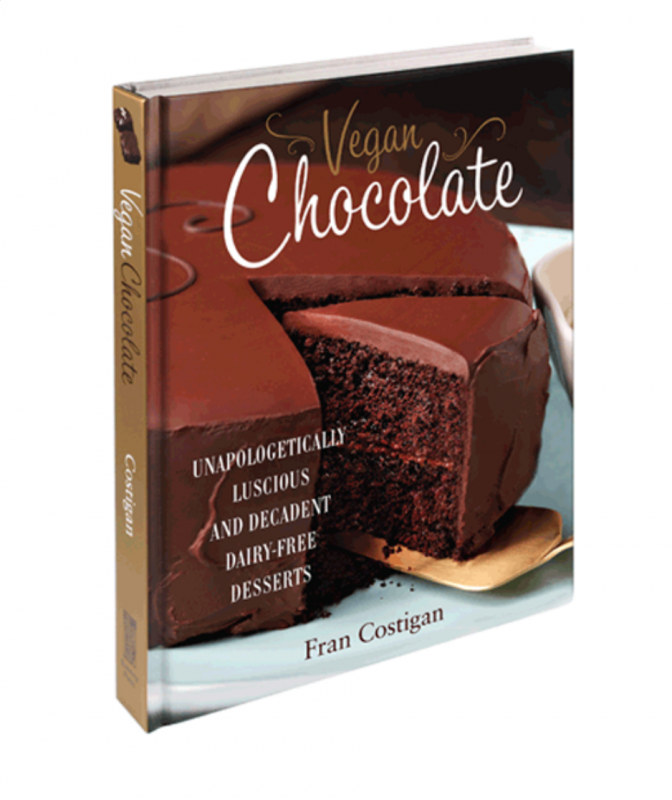 Sprinkle 1 to 2 tablespoons finely chopped vegan chocolate on 2 slices of the cooked French toast. Chop 1 banana and divide between the 2 slices, placing it on top of the chocolate. Top each with a second slice. Press down with a spatula. Cut each sandwich in half or into quarters, and serve warm from the pan, with or without a drizzle of maple syrup or confectioners’ sugar. From Living the Farm Sanctuary Life by Gene Baur (Rodale, 2015). Reprinted with permission. I have a copy of Living the Farm Sanctuary Life for one lucky winner. Follow the instructions below to enter. U.S. residents only, please. Contest ends at midnight on July 14th. Good luck! always love PANCAKES< the more pumpkin the better! Oatmeal for health, banana oat pancakes for pleasure. Treats are treats! I agree. French toast, French toast, and more French toast! You have a way with words Ms Gail! I’d love to eat french toast with you soon!! Mmmmm French toast for sure! I love make pancakes! And I do make a pretty great tofu scramble as well! I’d love to win this book. Gene Baur is such an inspiration! Gene is definitely an inspiration and such a nice person! i adore a good french toast with real maple syrup … grew up in new england… there is no substitute 🙂 But really because i am usually doing yoga in the morning my breakfast usually consists of a good spiced chai and a slice of seed n nut flourless toast. My standard breakfast is oatmeal topped with coconut oil, cinnamon, chia seeds, ground flax seeds, blueberries and a bit of soy milk — all organic. This French toast recipe sounds wonderful, though! 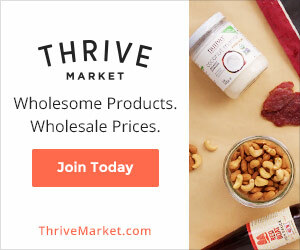 Cocoa in your overnight oats? or Chocolate? Sounds divine! I love smoky vegan cheese on toast and some fruit for breakfast.